This delicately dry oil scented with Orange Blossom is a subtle blend of precious vegetable oils, to nourish, soften and lighty scent the body and hair. 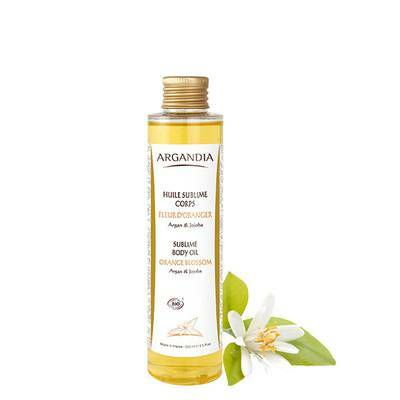 The Sublime Dry Oil is suitable for all skin types and even satisfy the most sensitive skin. Apply the dry oil on your body in circle on the desired areas (bust, legs, ...). Regarding the hair it is used through the lengths and ends as often as you want.